Consider the liver. It’s just one of the jumble of stuff inside that makes us tick, right? What do you really know about it though—other than it’s “vital”? In fact, the liver is your largest internal organ, and plays vital roles in neutralizing toxins, fighting infections, manufacturing proteins and hormones, controlling blood sugar, and helping to clot the blood. It may just be time to start giving our livers a little more thought. We don’t just mean by taking it easy on the cocktails either. 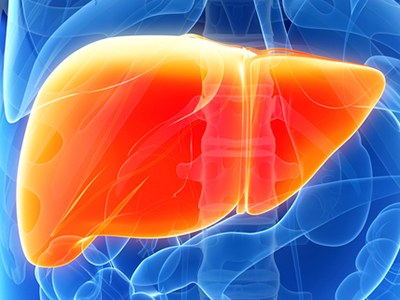 Liver disease is a growing health concern worldwide. A big part of the problem is that that the most common liver disease in developed countries, non-alcoholic fatty liver disease (NAFLD), often has no symptoms. Its onset is associated with obesity and type 2 diabetes—two conditions that are also on the rise. In 2017, NAFLD was estimated to affect nearly one quarter of people worldwide. About 30 to 40 percent of people in the United States are thought to be affected, and about 3 to 12 percent of American adults suffer from the advanced form of the condition, non-alcoholic steatohepatitis (NASH). Currently, its only treatment is liver transplantation. 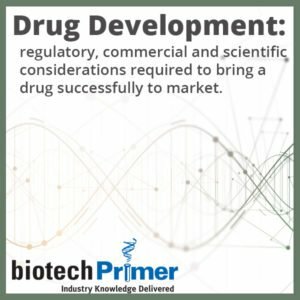 However, a number of biopharma companies are tackling this growing concern. Let’s take a closer look. NAFLD occurs when excess fat accumulates in the liver of people who drink little to no alcohol. NASH, the more severe form of the disease, is characterized by liver inflammation and scarring. As scar tissue accumulates, it impairs liver function. It’s the number one cause of non-alcohol related cirrhosis (severe, late stage scarring) which in turn can lead to liver failure. People with diabetes, obesity, or metabolic syndrome run the risk of developing NAFLD and eventually, NASH. Treatments in the works largely focus on reducing inflammation and improving how the liver metabolizes fats. Livers can only handle so much fat. Too much, and liver cells release inflammation-inducing signaling molecules, known as cytokines. These proteins trigger a series of events, the end result of which is the Attack of the White Blood Cells. We think of these hemocytes as “good,” but not so with NASH. White blood cells, such as macrophages, invade the liver, increasing the chances that liver cells will die and damaging scar tissue will form. Boehringer Ingelheim’s (Ingelheim, Germany) investigational NASH drug, BI146735, is a small molecule inhibitor of the vascular adhesion protein 1 (VAP1). VAP1 helps white blood cells to migrate into the liver. Inhibiting VAP1 reduces this migration. Ta-da—decreased inflammation! BI146735 in in Phase II clinical studies. BI146735 was originally discovered by Sydney, Australia-based Pharmaxis. Gilead’s (Foster City, CA) small molecule drug selonsertib, in Phase III trials, takes a slightly different approach to inflammation. It inhibits the activation of two enzymes involved in cellular pathways leading to inflammation, liver cell injury, and scarring. Gilead is also testing selonsertib in combination with its Phase II NASH candidates, GS-0976 and GS-9674. The first is a small molecule that puts the brakes on an enzyme involved in producing fatty acids. The other is an FXR-nuclear receptor inhibitor. Allergan’s (Dublin, Iralend) cenicriviroc takes aim at liver inflammation by inhibiting receptors on the surface of white blood cells called chemokine receptors. Chemokines are chemical messengers that stimulate movement of cells towards the source of their release—typically damaged or infected tissue. This chemokine APB often helps the body fight infection. However, with NASH, this just damages the already inflamed liver further. Cenicriviroc is in Phase III clinical studies. An alternate approach to treating NASH works on improving a patient’s lipid metabolism. Control the fat that accumulates in the liver, control the disease. Intercept Pharmaceuticals (San Diego, CA) has begun Phase III clinical studies on Ocaliva—a small molecule drug. This product works by binding the nuclear receptor FXR. This is a type of receptor protein that is present inside of cells, rather than on their surface, like most other receptor proteins. When activated by the appropriate signaling molecule, the nuclear receptor moves inside the cell’s nucleus, where it binds DNA at a specific location, turning on the expression of particular genes. Ocaliva specifically binds to and activates FXR, which modulates the expression of genes involved in lipid metabolism and glucose regulation. Researchers hope this change may disrupt the progression of NASH. Yet another nuclear receptor activator is Genfit’s (Loos, France) investigational elafibranor. This drug works on the receptors PPAR α/σ. Activating these receptors switches on genes that increase the metabolism of fatty acids, decreasing liver fat and improving lipid profiles—as well as increasing insulin sensitivity and anti-inflammatory activities. The drug in now in Phase II clinical studies for advanced NASH patients. Several other NASH drugs are coming down the pike, including Galmed’s (Tel Aviv, Israel) Aramchol (inhibits fatty acid synthesis; Phase II) and San Diego-based Conatus’ Emricasan (inhibits inflammation; Phase II). 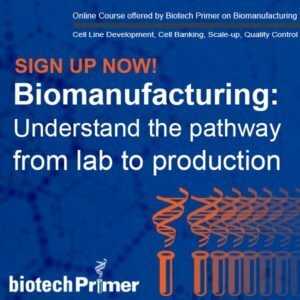 Let’s hope that 2019 sees at least one FDA approval from the handful of Phase III candidates out there to step up the fight against this silent epidemic.